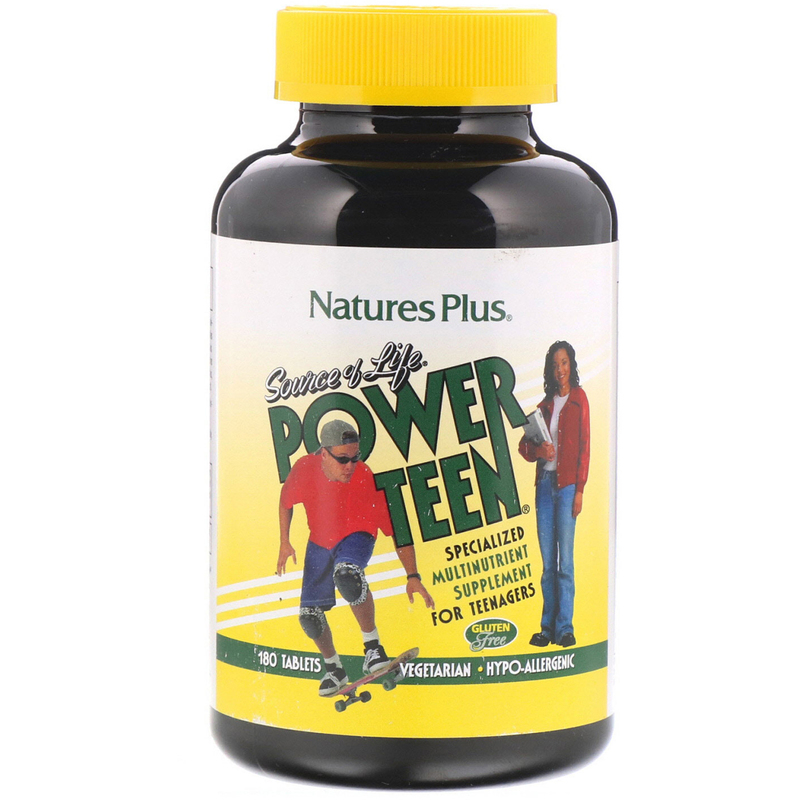 Power-Teen is a precisely calibrated multi-vitamin and mineral supplement designed as nutritional support for the teenager. 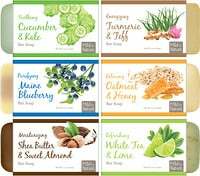 Each tablet supplies a complete profile of the essential vitamins, minerals and vegetables. Providing 250 mg of elemental calcium, 50 mg of high energy B-vitamins and a highly specialized combination of concentrated green vegetables, each serving of Power-Teen is a state-of-the-art nutritional supplement. As a dietary supplement for teenagers, two tablets once daily. Microcrystalline cellulose, calcium carbonate, magnesium oxide, di-calcium phosphate, vegetable cellulose, stearic acid, magnesium stearate, silica and pharmaceutical glaze. 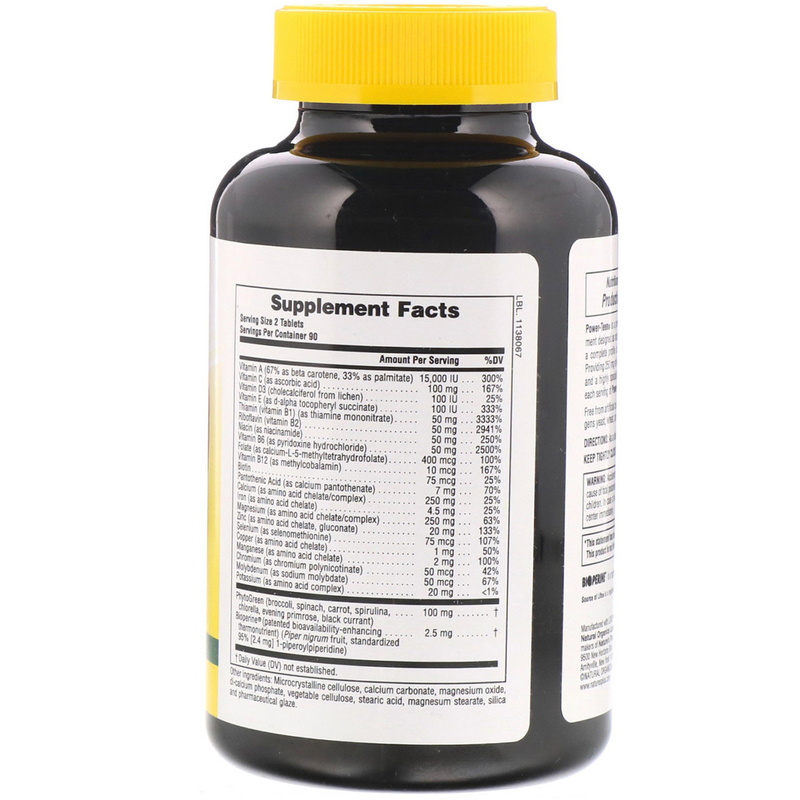 PhytoGreen (broccoli, spinach, carrot, spirulina chlorella, evening primrose, black currant) 100 mg ? Bioperine (patented bioavailability-enhancing thermonutrient) (Piper nigrum fruit, standardized 95% [2.4 mg] 1-piperoylpiperidine) 2.5 mg ?
? Daily Value (DV) not established.